Opening hours: 7am to 10pm daily. 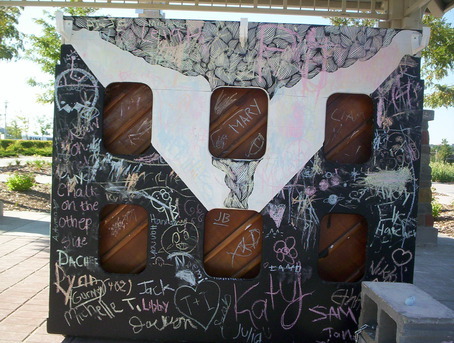 Designed and decorated by Robert Cook in partnership with University of Nebraska Omaha Art Department. Hosted by Aksarben Village. The Farmer's market brought a lot of people by today. My two year old enjoyed playing his first concert this morning at the Aksarben Farmers Market. Beautiful location with the sunset. Cool mirrored top...but very disappointed in the look and the piano keys were stuck. :( Glad we moved on as this is the 1st one we stopped at. On a mission to get to all 10 by Sunday! 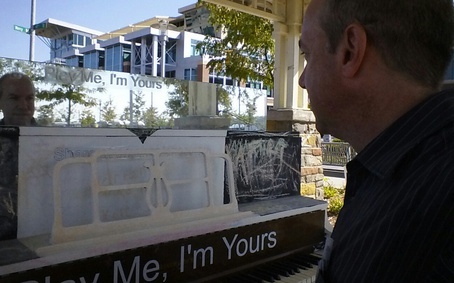 Got to "play" the Aksarben Village piano this morning. With a limited number of keys operating, a dirgelike vamp in F# was about all I could manage. It still counts in my quest to play all ten (up to four so far). I got to Stinson Park at 9:38 AM on 8-27-2013; was fired up to play the park's Kranich & Bach "Mirrapiano..." only to find...only to find...most of the keys out of commission. Most of the working ones were in the lower register. Oh, well...I guess Godzilla was really "gettin' down with it" the night before. So cool. My daughter loved seeing the piano in the open, and I loved seeing her so happy to perform. Thank you guys :) you may have just inspired a grand pianist! 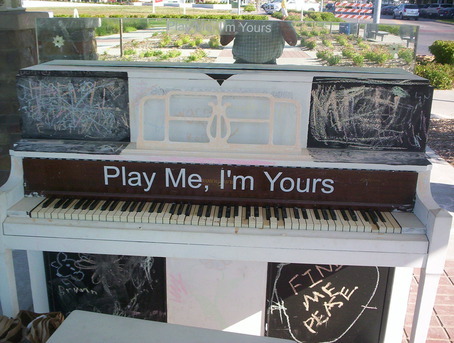 This street piano has just been repaired and retuned and is back in action - enjoy! Nice touch to allow messages in chalk. 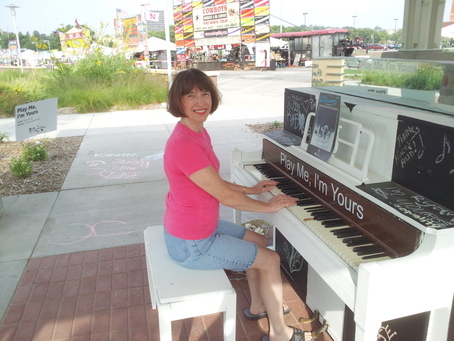 Natalie testing out the piano after its chalkboard element was added. 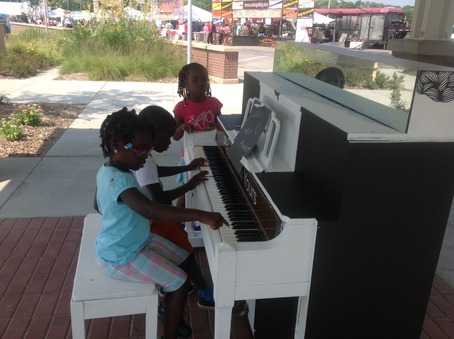 Folks seem to be enjoying the new chalkboard element to the Stinson Park Piano! Our fourth of the day!